At the time of the European advent empires, kingdoms and states, less powerful and extensive than ancient Ghana, Mali and Songhai had emerged in the savannah, forest and coastal regions of West Africa. And others would be founded thereafter. The histories of the empires of Oyo and Asante and the kingdoms of Dahomey and Benin provide an insight into these state systems. Its Neighbours published in 1967, Akinjogbin describes the contours of the empire by the mid-18th century thus: "The Alafin of Oyo was emperor of a territory that included the Oyo kingdom, the whole of Egba and Egbado, some part of Egbomina, the whole of Ajase kingdom (Porto Novo), the whole of Weme kingdom, the whole of Dahomey kingdom, and parts of Tapa (Nupe) and Ibariba (Borgu)". A century later, so "opulent" and "well-acquainted" an empire had completely disintegrated. Boahen is of the view that "No empire or kingdom of the Guinea coast and southern savanna collapsed so dramatically and as completely as that of Oyo". The empire of Asante (also referred to as Ashanti) had emerged by the middle of the 17th century. It came about through incorporation of a number of states located close together in the southern savannah region of western Sudan, in the vicinity of Kumasi in modern Ghana. By and large these states had been founded within a 30-mile radius of Kumasi by migrant Akan clan groups, including the Bretuo, the Asese, the Ekoana and the Oyoko. The Asante themselves constitute a segment of the Akan peoples who today comprise a substantial proportion of Ghana's population. The Oyoko clan groups played a decisive role in the rise of the empire. Where earlier clan groups had spent time and consumed energy competing among themselves for power, the founders of the Oyoko states regarded themselves as having originated from a single lineage and, rather than compete, co-operated closely to form a core of states which emerged as the nucleus around which the Asante empire was built. The progression from nucleus to empire was greatly assisted by the acumen and shrewdness of Obiri Yeboa, Osei Tutu and Opoku Ware; they were the first three rulers of the Kumasi dynasty. Obiri Yeboa was noted for his diplomatic skills, and is credited with having won support amongst rival clan groups, including the Ekoona, by admitting their former rulers into the Oyoko clan, on one hand, and through marriage, on the other. His legacy was the establishment of the Oyoko kingdom of Kumasi. 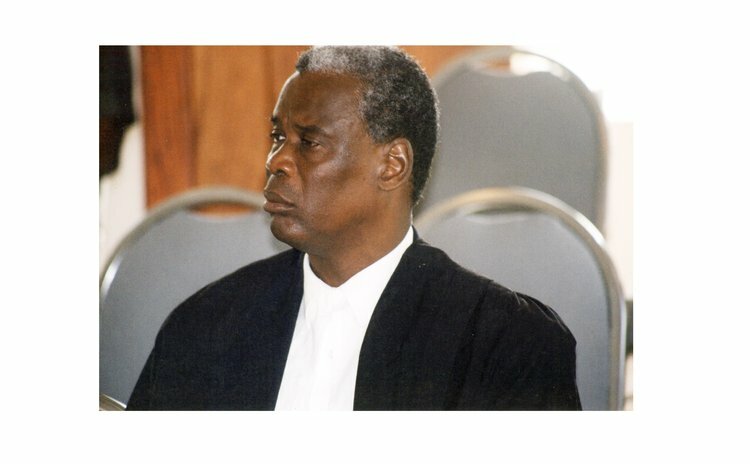 Obiri's successor and nephew, Osei Tutu, advanced the work of his uncle in significant respects. First, he created a lasting union of all states within the empire. Secondly, he caused member-states to recognize Kumasi as the empire's capital. Thirdly, he institutionalized an annual festival in the empire's capital attended by all member-states, for the purpose of settlement of disputes or quarrels subsisting among those charged with conduct of affairs of state, and for agreeing development plans for the forthcoming year. Fourthly, the Union was put on a solid military footing. This done, Osei Tutu embarked on his fifth project, namely, expansion of the empire by military means. By these means the Asante ruler set on course the process of transforming the kingdom of Kumasi into the empire of Asante. Opuku Ware succeeded his grand-uncle, Osei Tutu. From all accounts he was "a very able" ruler and, "as a fighter, was even more successful than either of his two predecessors". During the period of his reign from 1720 to 1750, through conquest and annexation Asante expanded into "an area much larger than modern Ghana". At the time of Opuku Ware's death, Asante was at the peak of its power. And for almost a hundred years more it remained "the most dominant state in the area between the Comoe and Volta Rivers". The empire began to fall apart at the end of the reign of Osei Bonsu in 1824 and, by 1880, it was reduced to one-third of its former size. Twenty years later it was conquered by the British. The kingdom of Dahomey began to emerge, like Asante, early in the 17th century under the rule of a clan or dynasty called the Fon or Aja dynasty. The dynasty came into existence about 1620 following the seizure of power by Dukodonu, a member of the Aja clan, from local chiefs in control of a large number of towns and villages spread over the Abomey plateau, about 60 miles from the coast. Dokudonu, self-declared first Monarch of the kingdom, ruled for 30 years and was succeeded by his son, Wegbaja, who in turn, was succeeded by King Akaba. Wegbaja reigned from 1650 to 1685 and Akaba, from 1685 to 1708. Both Monarchs were able to maintain and consolidate the power inherited, and to use this power to absorb more than 50 neighbouring communities to the south and south-east. It took another 50 years before this small island-kingdom of towns and villages was transformed into a sizeable state system with a "strongly centralized monarchy". The ruler mainly credited with this transformation was Agaja, a contemporary of Asante's Osei Tutu and Opoku Ware. Agaja had a military pre-disposition. In preparation for his project of territorial expansion, he set up a military school to produce well-trained and disciplined young soldiers, and re-organized Dahomey's army with its graduates. Next, he established an institution which served the combined purpose of military intelligence-gathering that is to say, spying on neighbouring countries and, public information, in other words, disseminating propaganda inside Dahomey. So equipped, Agaja launched a programme of military engagement. Among his prizes were coastal states engaged in the Atlantic slave trade, including Allada and Whydah. Notably, upon conquest the ruling dynasties of these states would be abolished and, their governance, entrusted to senior Ministers of Agaja's administration. Under the rule of Agaja's successors Dahomey's fortunes did not advance. Not only were they unable to extricate the kingdom from payment of annual tribute to Oyo, which had come into existence in exchange for the Alafin's commitment by treaty negotiated in 1730 to not wage war against Dahomey. Further, another treaty entered into in 1748 served to heighten the tributary status of the kingdom in relation to the empire of Oyo. In an effort to boost the Dahomey economy, Agaja's immediate successor, Tegbusu, would renege on Agaja's policy of non-participation in Atlantic slave-trading. This notwithstanding, Dahomey's economy fell into a deep decline, which would be exacerbated in the post-1760 period by an enormous loss of trade caused by the withdrawal of European traders from the slave-trafficking port of Whydah. A measure of economic recovery followed a coup d'etat in 1818 that brought Gezo to power. Five years later he put an end to Dahomey's tributary relation with the Oyo empire. The new ruler "promoted agriculture, set up oil palm plantations, and encouraged palm oil production". Politically, he sought to reclaim and expand the contours of his country. In the 1840s large parts of the Mahi country were conquered and absorbed. And in 1851 Ketu was conquered and forcibly brought under the kingdom's protection. Gezo died in 1848. The military campaigns of his successors were not as fruitful. In fact, one such campaign, launched in 1894 by the regime of Behanzin against south-eastern districts of the Oyo empire, brought Dahomey into confrontation with the French. Dahomey was conquered. The rise of the kingdom of Benin predated the emergence of Oyo, Asante and Dahomey. About 1000 A.D. a centralized city-state had emerged in the area of today's city of Benin, under the rule of Igado, founder of the Ogiso dynasty. Towards the end of the 13th century the last Ogiso was banished for his cruelty, the Ogiso dynasty fell from power and, after a period of political instability, was replaced by the Benin dynasty. It was this dynasty that transformed the city-state of Benin into the pre-eminent kingdom it would become. At the end of the 16th century when it stood at the height of its power, Benin had under its jurisdiction states and peoples extending from Lagos (capital of today's Nigeria) in the west to the river Niger in the east, and to the Yoruba states of Ijesha and Ekitia to the north. Benin was exceptional among the kingdoms and empires of West Africa in that its period of ascendancy was not followed by a period of decline or disintegration. Indeed, in the 17th and 18th centuries periods of decline were followed by periods of revival. Further, a few states such as Ijaw and Itsekiri seceded. But the kingdom held together. In the first half of the 19th century it was able not only to revive its power but, also to strengthen its hold on Yoruba states to the north-east. In fact, upon conquest by the British in 1897 Benin was "still a relatively strong and stable kingdom".